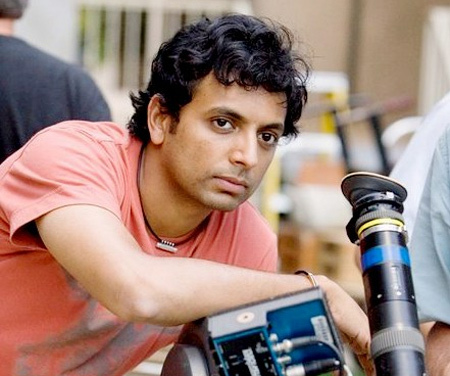 Indian-American director M. Night Shyamalan will be visiting Sitges to present a preview of his eagerly awaited new movie Glass and will receive the film competition’s Grand Honorary Award. Shyamalan has set himself apart thanks to a career that’s always been associated with fantastic genre, including essential films like The Sixth Sense (1999), Unbreakable (2000), Signs (2002) or Split (2016). It’s been 40 years now since Laurie Strode –played by a splendid Jamie Lee Curtis– saved herself from the psychopath Michael Myers in the legendary Halloween. During this time she’s been fantasizing about the perfect revenge to take on the murderer incarcerated in a detention center. This year, the two of them are the stars of the saga’srebootdirected by David Gordon Green, Halloween, whose executive producers are actress Jamie Lee Curtis and the master of horror John Carpenter. Halloween can be seen out of competition in the O. S. Another of the films featured in the in competition Official Selection is directed by an old Festival acquaintance, the Welsh director residing in Indonesia, Gareth Evans. The filmmaker, who revolutionized the action genre with The Raid, will be presenting the Netflix production of Apostle, a dark thriller set in the world of cults in early 20th century England. Overlord is another of the star proposals at Sitges 2018. The movie, produced by Bad Robot, J.J. Abrams’s company, is directed by Julius Avery and will be screened out of competition. The film portrays the eve of D-Day, a moment when a group of allied soldiers are sent to Nazi-occupied France where an extremely terrifying laboratory awaits them. Also competing in the Official Selection is one of the season’s most controversial movies. Set in the city of Salem, Assassination Nation follows the vicissitudes of four girls accused of robbery and persecuted as if they were the witches of our times. And from thriller to science fiction, and on two accounts. On the one hand, Aniara, a film based on Harry Martinson’s bestseller by the same name, tells the story of a crew’s space odyssey when bound for Mars; and on the other, the Australian movie Upgrade, directed by another Festival friend, Leigh Whannell, –who presented Chapter 2 of the Insidious series–, and this year returns with a futuristic film where a small chip is capable of creating a superman who will take revenge for his wife’s death. Both films will be present at Sitges 2018 in the Fantàstic Discovery and In Com petition sections, respectively. The elements of folklore and western merge in The Wind, the debut film from American filmmaker Emma Tammi, which can be seen in the Festival’s Discovery section. Also full of mythological elements and in this case stories from the Indian culture, the film Tumbbad, directed by Rahi Anil Barve and Adesh Prasad, will be competing in the O.S. The movie, which opened the Venice Critics Week, is a terrifying story where the search for a treasure hidden inside a mansion will lead to extreme horror. Another regular in the Official Selection is Japanese director Shinya Tsukamoto who, after immersing himself in World War II in his previous film, now returns with Killing, where he explores the weight of violence in the age of samurais. Out of competition, but also in the Official Selection, Sitges 2018 promises other great titles. Anon, the science fiction noir directed by Andrew Niccol; In Fabric and High Life by Peter Strickland and Claire Denis, respectively, with terror and science fiction as premises; the two fantastic Korean blockbusters Along with the Gods: The Last 49 Days and Along with the Gods: The Two Worlds, each of which has been seen by 14 million viewers in their country, and to complete the Asian playbill in this section Chinese director Tsui Hark won’t be missing and he’ll be offering a new fantastic adventure, and that makes three, with Detective Dee and the Four Heavenly Kings. For a few years now, action and thriller movies in the Órbita Section carry an important weight in the Festival. A genre, the thriller, which is also becoming more relevant in Spanish film, as was demonstrated by Dani de la Torre with his debut feature film, Retribution. This year in Sitges, in its world premiere, the Galician director presents his second work La sombra de la ley (Gun City). Set in the chaotic and tense Spain of 1921, the film tells the story of the investigation of the robbery of a military train, where policeman Aníbal Uriarte will have to deal with his corrupt colleagues, with the manipulative owner of a cabaret and with his own feelings when he meets a temperamental young lady named Sara. La sombra de la ley (Gun City) stars, among others, Luis Tosar, Michelle Jenner and Vicente Romero. American director S. Craig Zahler –responsible for Bone Tomahawk and Brawl in Cell Block 99, both seen in Sitges– promises to pump up the tension to the max in Dragged Across Concrete, where two cops, suspended from the force –Mel Gibson y Vince Vaughn–, have to delve into the criminal underworld to get their just due. Another important film will be arriving from Indonesia, and it’s directed by Timo Tjahjanto –director who is also presenting a film in the Midnight X-Treme section, the terrifying May the Devil Take You– The Night Comes for Us, starring Iko Uwais, tells the story of a criminal who will find himself trapped in the middle of a Triad conflict and that promises spectacular action scenes. Also in thi s section, two remakes of cult films can be seen. On the one hand, the Chinese production A Better Tomorrow 2018, a vibrant update of John Woo’s masterpiece, where director Ding Sheng moves the action of the heroic bloodshed film made in Hong Kong to continental China and, on the other, Believer, the Korean remake of the Chinese production Drug War by the legendary Johnnie To. 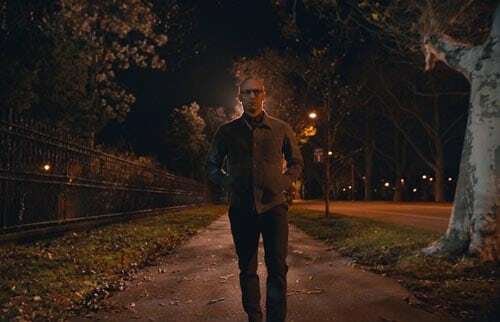 Continuing in the Órbita section, the Festival will be screening American Animals by Bart Layton, the British director of The Impostor, one of the most outstanding documentaries in recent years. Based on a real event, the film tells the story of two middle class misfit boys who plan a robbery at college library. Also arriving is the French-Belgian production A Bluebird in my Heart, by Jérémie Guez, the story of an ex-con who finds refuge in a motel run by a single mother and her daughter Clara. The peace and freedom found there disappear when Clara is attacked, forcing him to face his old demons. Noves Visions has created a universe of its own within the fantastic genre. The section’s opening film will be Ánimas, by Laura Alvea and José Ortuño: a mind-bending trip where the thin line between reality and nightmares will start to start to blur. Another film that can be seen in Noves Visions is the stylized pop experiment Fonotune: An Electric Fairytale, a co-production between Germany, Japan and the United Stated directed by the graphic designer, comic writer and director FINT. From the United Kingdom comes Beast, by Michael Pearce, that is a polyhedral exploration of the aspects of an unbalanced personality, with musician Johnny Flynn in one of the starring roles. Also in this section will be Steven Soderbergh’s production, Perfect, which plays with science fiction elements to show viewers the most absolute per fection in body implants. Undoubtedly, one of the most interesting filmmakers to pass through the Festival is Canadian Guy Maddin –winner of the film competition with Dracula: Pages from a Virgin’s Diary–, whose The Green Fog is intended to be a rereading of Alfred Hitchcock’s Vertigo. The filmmaker reconstructs the scenes of the legendary film through sequences and shots from other movies that take place in the same locations. The Anima’t section arrives loaded with great masters. Inspired by the great Persian literature classic The Book of Kings, the Iranian film The Last Fiction will be screened, destined to become one of its country’s animated classics. French creator Michel Ocelot directs Dilili à Paris, a mysterious, cultural and marvelous journey that the little girl Dilili will embark on through the streets of Paris. There are several films from Japan that will be screened in this Festival section. Featured among them is I Want to Eat your Pancreas, which has gone from novel to live action movie, to wind up becoming an anime produced by Studio VOLN. A film that will give Sitges’ viewers goose bumps. And we couldn’t forget the new production from filmmaker Mamoru Hosoda, Mirai, a film that’s more childish than The Boy and the Beast, but which contains thirty final minutes that explodes with fantasy. Also keep an eye on Penguin Highway, the latest film produced by Studio Colorido that has hit the Japanese movie listings with excellent reviews. Another film that can be seen at Sitges 2018 is the biggest Japanese animation box office earner of the year, Detective Conan: Zero Enforcer; and a very special event, the screening of My neighbor Totoro, by the master Hayao Miyazaki, the year that it’s celebrating the 30th anniversary of its premiere. As has become common practice in recent years, in its Serial Sitges section the Festival will be showing new fantastic genre television productions. Featured among them is the exclusive screening of the first episode of the ninth season of The Walking Dead. The event, which will coincide with the day and hour of the series on FOX, Monday October 8th, will have an exceptional master of ceremonies, the creator of special effects, producer and actor Greg Nicotero, who will share a talk with the audience attending the screening. Nicotero received the Time Machine Award at Sitges 2005 from the hands of Quentin Tarantino and Eli Roth. Additionally, the Netflix platform will be presenting two of its new productions: the first episode of Chilling Adventures of Sabrina and the first two episodes of The Haunting of Hill House, at a special event. More than thirty movies make up the Panorama Fantàstic and Panorama Documenta Sections. Magicians, black magic, living dead, psychopaths, all of these characters and many more are an essential part of the most visceral horror that can be seen at Sitges 2018. From the Argentinean Luciferina, where its director Gonzalo Calzada explores the diabolical universe, to the Japanese Kasane: Beauty and Fate, one of the big surprises of the year, based on Daruma Matsuura’s manga, where a pact for beauty brings fateful consequences. Featured among the documentaries that the Panorama section will be bringing is Beyond Blood, by Masato Kobayashi, that analyzes the new batch of filmmakers who, at the start of the new millennium, revolutionized genre films in France with film, which already have cult status, like High Tension, Inside, Frontière(s) or Martyrs. In the increasingly popular Midnight X-Treme, there are three films that should be highlighted among the fifteen movies that make up the section: in Open 24 Hours, an English production directed by Padrag Reynolds, Mary and her ex –a genuine psychopath– will wreak havoc at a gas station; with a screenplay by S. Craig Zahler, arriving in Sitges is Puppet Master: The Littlest Reich, the comical and gory reboot of Charles Band’s cult film, with the cameo appearances of Michael Paré, Udo Kier and Barbara Crampton, and also from the United Kingdom, Aislinn Clarke’s The Devil’s Doorway can be seen at the Festival: shot found footage style, the film goes deep into one of the most terrifying places in Ireland, one of the homes from the chain of Magdalene Laundry asylums, where, for years and years, the church confined “fallen women& rdquo;. The complete Sitges 2018 lineup and times will be available on the Festival website as of today, Thursday September 13th. Ticket sales will begin next Wednesday, September 19th. Those viewers who previously purchased a pass or pack will be able to access ticket sales on Tuesday, September 18th.